One light was used, it was placed to the right of the frame and even with the model. The lighting was done this way to emphasize the musculature of the model. This image was taken with Tri-X 400 and developed by DR5 into a positive (as opposed to a negative which would be the usual). The image was scanned into Lightroom where exposure and contrast were adjusted and the image was cropped. 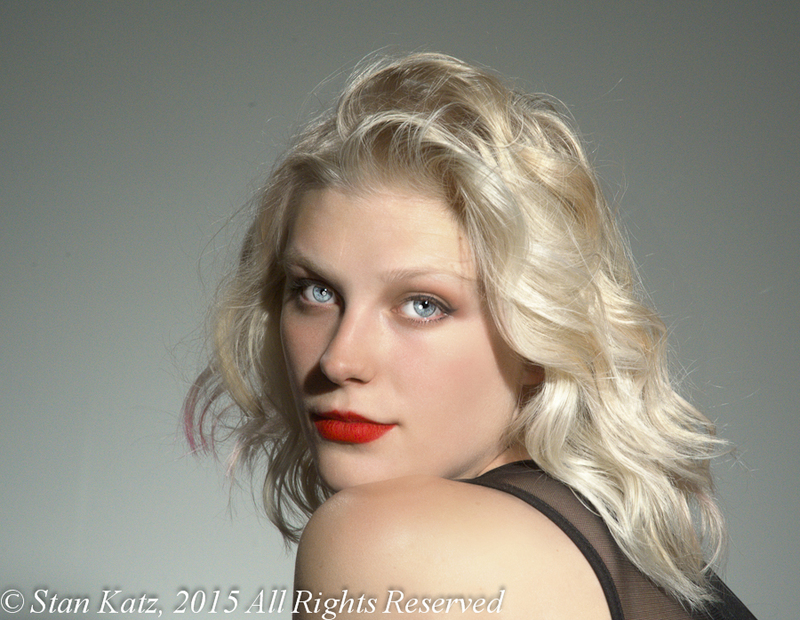 This image was taken while the model was transitioning from one pose to another. The image captures the musculature of the model. This is a digital image processed in Lightroom. 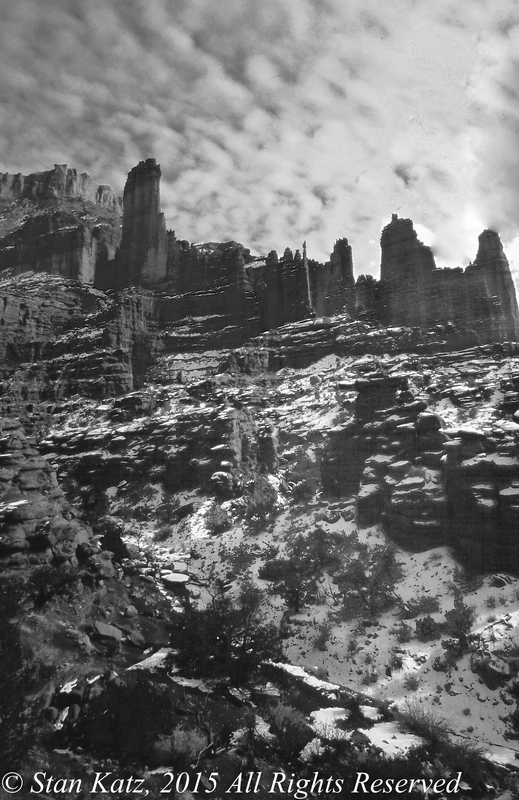 The contrast and exposure were adjusted and the image was rendered to a monochrome via Lightroom’s Black & White sliders. One light was used, it was placed to the left of the frame. The lighting instills some mystery into the image. This was shot on Ektachrome E100g slide film. 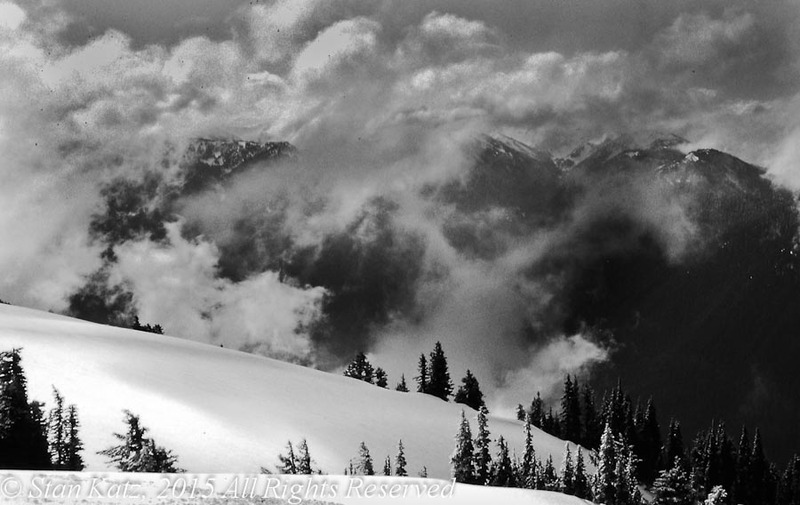 It was scanned into Lightroom where it was rendered to Black & White via the Lightroom Black & White sliders. The contrast and exposure were adjusted and the image was cropped slightly. I find contemplative poses such as this to intriguing. This image was taken using a diffusion technique to reduce sharpness, however clarity (via a Lightroom slider) was increased which sharpened the image counteracting the diffusion slightly, but increasing shadows. To further reduce the figurativeness of this image I added a considerable amount of grain. This is a digital image processed in Lightroom. The contrast, clarity and exposure were adjusted and the image was rendered to a Black & White via the Lightroom Black & White sliders. The image was also cropped considerably. One light was used, it was placed to the right of the frame and in front of the model. The light was placed so the model’s face would be illuminated more on the model’s left than the right. Sometimes coming in close works. The light was for the model to step into darkness, the unknown.